Automata! Automata! Automata! – who knew? Oh man, everything else in the shop has come to a screeching halt. Chips are flying, brass is being milled, gongs are ringing! I discovered automata. This idea stopped me like a ball bat to the forehead. Specifically, take a look at Dug North’s website. Here is a preview of my first. It should be quite handy. When it is done, it will be a praying machine. I mean really who doesn’t need one of those? I will take all the help I can get! I cannot stop thinking about this thing. I will post more as I begin to rough in the mechanism. 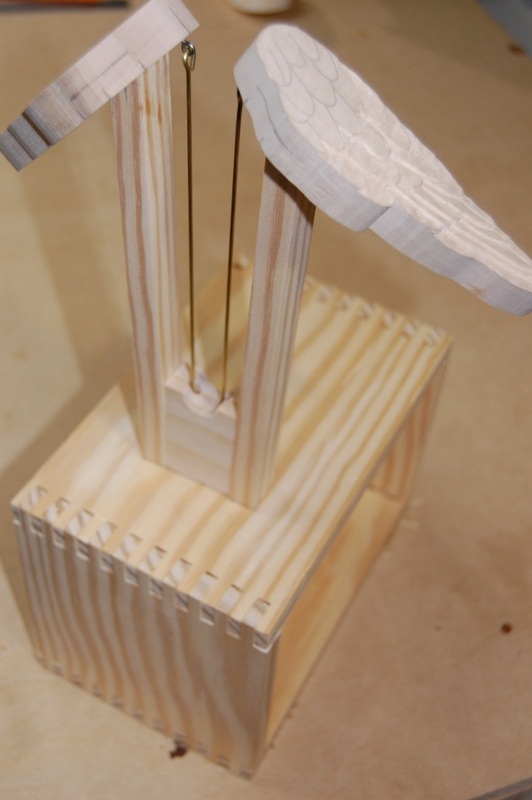 This entry was posted on March 14, 2010 at 5:39 pm and is filed under Automata, Carving, Toy Making. You can follow any responses to this entry through the RSS 2.0 feed. You can leave a response, or trackback from your own site. Nice work! Thanks for mention! Thanks Doug. Your work is really inspiring for me.